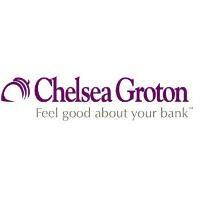 Groton, CT – Chelsea Groton Bank reminds customers who have been affected by the government shutdown that they may be eligible for relief in the form of fee rebates, waived fees and access to cash. “For 165 years, we have been there to support the members of our local community, especially as they face hardships. Fundamentally, we have always strived to be accommodating to the needs of those around us. As a community bank, it feels very natural to try to provide assistance to those who need it most,” said Michael Rauh, President and CEO of Chelsea Groton Bank. Customers are encouraged to call the Bank’s Program Hotline at 860-448-4195 (Monday – Friday: 8am – 7pm, Saturday: 9am – 1pm) or to stop by a local branch to discuss individual situations and how Chelsea Groton may be able to help. Based in Groton, Conn., Chelsea Groton Bank is a full-service mutually owned bank with over $1.1 billion in assets. Chelsea Groton Bank’s products and services include consumer banking, business banking, mortgage and business lending, cash management, financial planning and financial education classes. With 14 branch locations throughout New London County and a Loan Production Office in Hartford County, Chelsea Groton Bank also provides online and mobile banking, 24-hour telephone banking, and nationwide ATM banking for individuals, families and businesses. To learn more, please visit chelseagroton.com. Member FDIC. Equal Housing Lender.